Open up Tide and choose File -> New. At the start, we import some functionality into the program. Here, we're importing everything from the tingbot libraries, so we can use screen to draw things to the screen. There are lots of things you can import, like import requests for getting data from the internet, or import time to access the system clock. This part contains code that runs when your app starts. For this app, there's no setup required, so there's just a comment. Comments begin with #, are used as notes-to-self, or notes to others reading this program, and have no effect on how the program runs. 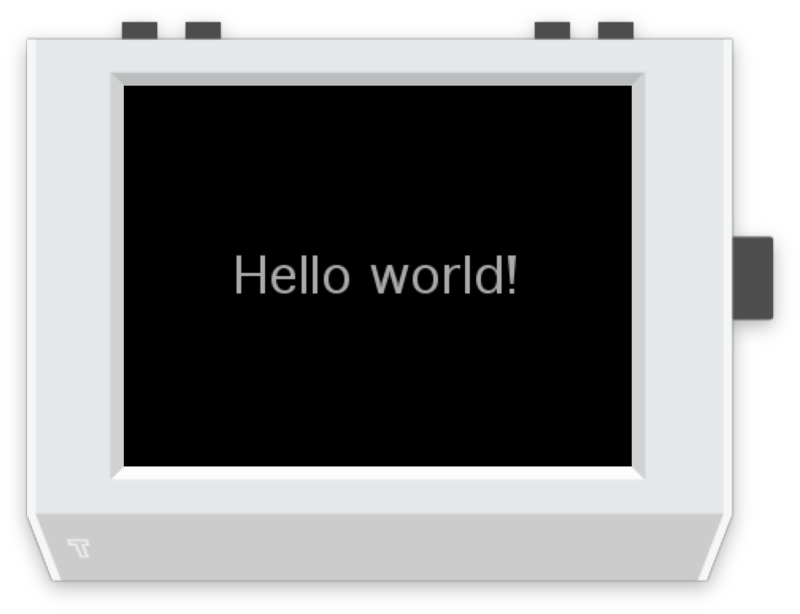 In this function, loop(), we draw to the screen. This function is run repeatedly while your program is running. Functions are little bits of code that can be 'called' (meaning run) repeatedly from different parts of the program. This loop function is 'decorated' so it is called 30 times per second in the program. Finally we run the program. This line causes the loop() function to be called over and over, drawing to the screen. Let's try making a change to our app. We can change the colors using the color parameter. For this app we're going to import some functionality from the Python time module. A few things have changed in the above- we've removed the comments and split the fill and text calls to multiple lines. This is just to make it easier to read. 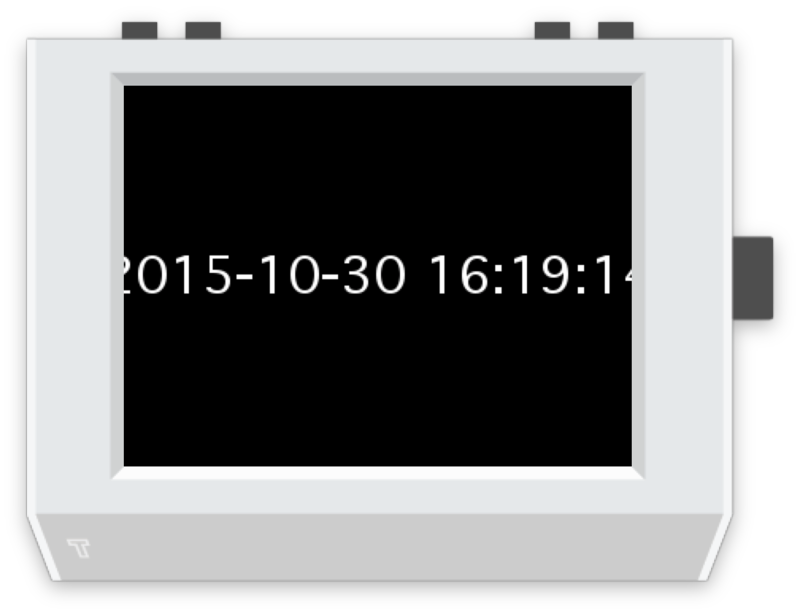 We've also added a call to time.strftime. Wondering where we got time.strftime from? The module time is part of Python, so it's always available, and you can learn about it from the Python docs. We found it by Googling 'current time python' and checking the first search result! Wondering what the current_time is? It's a variable. Variables are a way to carry data around in a program. So on the line current_time = time.strftime("%Y-%m-%d %H:%M:%S") we created and set the variable, and we used it in the screen.text call. Let's just adjust the formatting. Not bad for 25 lines!